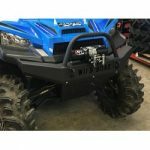 Wild Boar ATV Parts Polaris Ranger Full Size 900/1000 Front Bumper w/ LEDS $325.00 FREE SHIPPING!! 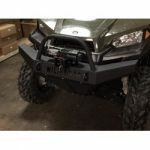 Wild Boar Mid-Size Front Bumper with Lights $295.00 with Free Shipping! The Wild Boar Mid-Size Ranger Front Winch Bumper is built tough for any job you throw at it. 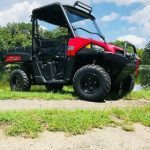 Our bumpers are proudly made in the USA and come with LED flush mount cubes for a little extra light to help you see at night. Don’t forget to check out our matching front bumper!